Doctors at Stanford's Center for Inherited Cardiovascular Disease are trying to raise awareness about the condition that can lead to sudden death if left undetected. As spring approaches, and young athletes are hitting the field, doctors at Stanford University are warning of a silent killer. One in 500 people have a genetic heart condition that could strike at any time, and it's quite often the cause of kids suddenly dying while playing their sport. 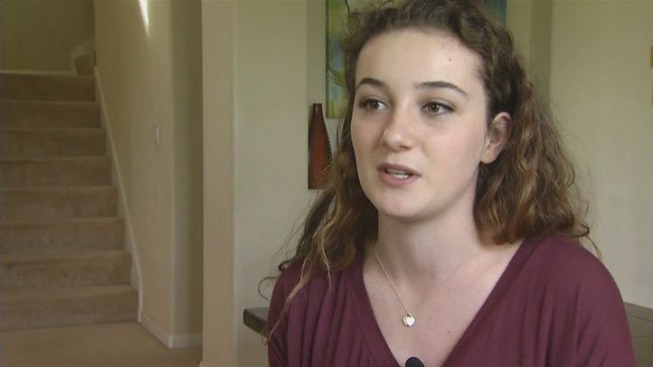 Emma Linney, an East Bay teenager and former soccer star diagnosed with the disease, is sharing her story. The 17-year-old from Brentwood has a mountain of medals earned from years of playing competitive soccer. "I let soccer define me for a really long time," Linney said. "I really loved it. Linney was on track to play at the college level. She was in the middle of the state cup tournament when she got a divesting diagnosis: an inherited heart disease called hypertrophic cardiomyopathy, and just like that, her soccer career was over after her parents let her play one final game. "The game ended ... and I told (my teammates) I had the disease and I couldn't play anymore. it was rough." "Most people will suffer shortness of breath, chest pain," said the center's Dr. Euan Ashley. "It's possible to feel palpitations." Ashley says it most commonly strikes in the teenage years and young athletes at higher risk. The condition, which leads to the thickening of the heart muscle, has been linked to deaths of young athletes across the country, including Cal football player Ted Agu, who died after an intense team workout in 2014. Emma Linney's dad, Paul, has the disease too He has a small defibrillator implanted in his chest that's already shocked him back to life once. Emma got the same device implanted in her chest too. It's brought her peace of mind and even allowed her visit Peru's Machu Picchu last year. Emma and her father are urging other young athletes to get tested. A simple EKG can detect the condition. "Knowledge is power," Paul Linney said. "Find out. Don't put your kids at risk." While Emma misses soccer, she's grateful she's putting her health first. "As much as you love being part of the game, it's not as important as your well-being," she said. Stanford will host a free conference on cardiomyopathy featuring the top experts in the country this Saturday from 8:30 a.m.-2:30 p.m. at the Arrillaga Alumni Center. You can find out how to register on The SHaRe Cardiomyopathy Registry's website.